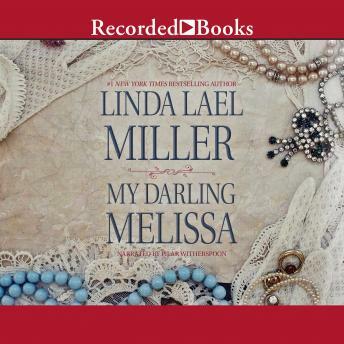 Linda Lael Miller charms with this unforgettable Western love story of a runaway bride who wants only to hear three little words from a dashing Oregon lumber baron: My Darling Melissa. When beautiful heiress Melissa Corbin discovers on her wedding day that her groom has a mistress, she begs for a ride out of town on Quinn Rafferty's private railway car. Determined to prove she's an independent woman and not just the baby sister to her three older brothers, Melissa makes Quinn a tempting offer: her inheritance in exchange for a marriage that would be in name only-until she says otherwise. But as Quinn's burning caresses kindle a white-hot desire like she's never experienced before, the headstrong beauty knows she is falling in love...and won't admit it until the man she married does first! It's a gloriously passionate standoff for two proud hearts, a battle of wills too thrilling to resist.